If you are missing one or multiple teeth, are healthy enough to undergo a routine oral surgery, have healthy gums and enough bone to support the implant, you could be a candidate for dental implants. Dental implants replace the natural tooth root, placed through a simple same-day surgical procedure. These small titanium anchors, fixed directly into the space left by the missing tooth need time to heal. 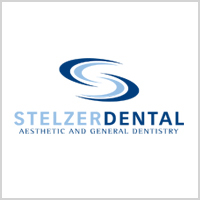 Once the healing process is finished, Dr. Stelzer will crown your new abutment with a natural looking crown. 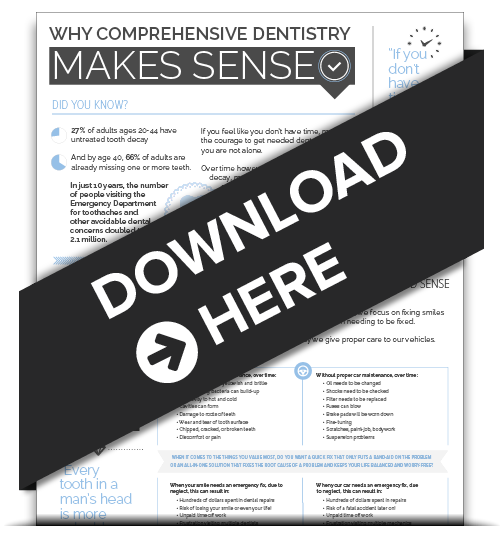 We know you might still have some questions about the anatomy of Dental Implants and how they can benefit you. 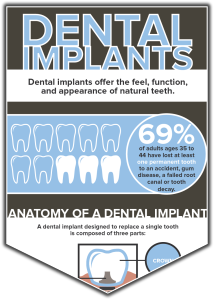 That is why we have provided a FREE informative infographic about implants on our Dental Implants page. Dental implants are an excellent way to invest in your long term oral health. Click HERE to go to the free download page. We look forward to helping you regain your smile with dental implants!